Optimize your Daily's view. Click here for our webpage version. "Drive Results - Trust and Respect - Teams and Partnerships"
Thanks to James Connolly, SVP Asset Protection for Burlington Stores, Inc. for sending us this amazing team picture! We still want your Group LP Selfies - So keep them coming retail LP teams! Know about an event we should feature here? Mark Sens was named Safety Director for Delhaize America. Mark was previously the Director Environmental Health & Safety for Preferred Freezer Services and had been there for over four years. He has held other managerial positions in the Environmental Health and Safety field for such retailers as C&S Wholesale Grocers as their Regional Environmental Health & Safety Manager, Spartan Stores as their Health and Safety Manager and Penn Traffic as their Environmental Health and Safety Manager. Mark earned his Bachelors of Science degree in Fire and Safety Engineering Technology from Eastern Kentucky University and went on to acquire his Masters degree in Environmental Health and Safety from Rochester Institute of Technology. Congratulations Mark! 1,863 Security Officer Deaths Since 2000 - Up 34% - With Retail Security - LP ranking 2nd in Top 5 areas where death occurs The actual deaths and injuries may be between 10-15 % higher than what is being reported. Injuries, workplace violence and armed assaults have increased by approximately 34%. The overwhelming majority of all on-duty security officer deaths were the direct result of the security officer being a victim of robbery, violent attacks and assaults or being involved in a heroic action to detain, arrest or stop someone in the act of committing a crime, while protecting life and property. Almost 85% of all deaths were directly related to a deadly force act against the security officer while less than fifteen percent of the deaths resulted from medical emergencies, motor vehicle or training accidents or workplace hazards. Injuries, assaults, armed confrontations and workplace violence in the areas of loss prevention, residential community security, general patrol assignment and special event locations have seen substantial yearly increases since 2005 and as security officer duties continue to include enforcement components, this trend will only increase. WSJ Article - U.S. Likely to See Shift to Online Fraud - CNP Fraud may hit $6B+ by 2018 - . "If you stand still the bad guys will blow right by you" The U.S. is approaching an October deadline deadline for banks to embed chips in their credit and debit cards as a way to combat point-of-purchase fraud. But it can expect to see a sharp increase in fraud with cards used to make online and other card-not-present purchases-as was the case in most every country that already has converted to chip or chip-and-pin cards, fraud experts said. Julie Conroy, research director for Aite Group's retail banking practice, said her company estimates card-not-present fraud in the U.S. will total just over $3 billion in 2015-but will rise to more than $6 billion by 2018. "Fraudsters don't go away, they just go somewhere else," he said. "The online chip doesn't make a difference if there is no physical card to read." Schneider Celebrates Cargo Theft-Free Year - Because of its holistic, layered approach to security For several consecutive years, Schneider has celebrated declining cargo thefts. However, 2014 marked a milestone for the premier truckload, intermodal and logistics provider: The company had zero cargo thefts last year. This is a significant accomplishment considering Schneider moved over 4 million loads in 2014. According to Schneider's vice president of Enterprise Security, Brian Bobo, the company has been able to beat the cargo theft odds because of its holistic, layered approach to security. To be successful, we can't rely solely on doing one thing flawlessly," noted Bobo. "Yes, we have the right technologies in place, but it's just as important that our drivers and operations teams are consistently doing the right things." Bobo also emphasizes the importance of preparing and educating drivers and owner-operators. "We apply a three-prong approach: We address expectations during on-boarding, we regularly communicate the locations and types of thefts that are occurring and we incorporate cargo theft preventable measures into our quarterly training sessions." CargoNet, the leading cargo theft prevention and recovery company, indicates that Schneider's performance is indeed a remarkable accomplishment. "Schneider has shown theft decline since the beginning of our relationship in 2011," said CargoNet's Anthony Canale, general manager. "Having no cargo thefts over the last year sets the benchmark for the rest of the industry to work toward." 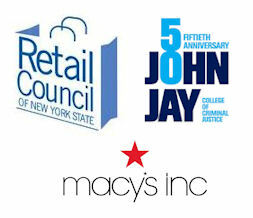 The Retail Council of New York State, in partnership with Macy's, Inc., will host a full-day symposium addressing shopping equity on Thursday, June 11 at the John Jay College of Criminal Justice in New York City. The "Retail Symposium on Shopping Equity" will unite retail executives and community leaders in a direct and engaging discussion about customer racial profiling. This is a fully-sponsored event and free of charge to attendees. With a number of thought-provoking discussions planned for the event, attendees will examine community perspectives, lessons learned, and potential brand impact when it comes to creating a shopping culture in which all customers feel free to shop in a wholly welcoming environment. Click here to register. In 2014, we spoke with Ted Potrikus, President and CEO, Retail Council of New York State, about the "Customer Bill of Rights" established following a series of high-profile accusations of racial profiling in retail stores that shook the LP industry. 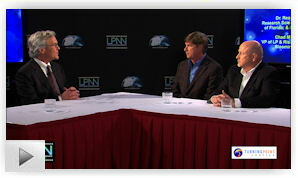 Watch our LPNN interview here. How can IoT help curb this? By adding an additional layer of visibility to the process. Rather than solely relying on point-of-sale systems to indicate when a piece of merchandise has been sold, retailers can look to smart shelves, source-tagged SKUs and more sophisticated camera technology to track the flow of inventory in and out of the front door of the store. Companies like Panasonic are bringing on more sophisticated smart shelf technology as well as more powerful cameras that can enhance the ability of stores to track and manage their inventory. What is the Real World Smart Store? Imagine an in-store shopping experience where mirrors double as touchscreens...where you can swipe through a store's inventory and have items brought to you...where you can pay for merchandise without ever having to stand in line at a register. Where data from devices can support operational change, employee performance and create unique customer experiences. Imagine your online experience supporting your in-store experience and vice versa. Read the rest of this featured 'LP Meet IT' article by Michael T. Grady, Executive Vice President, Vector Security, here. Cam Connections, Inc. has been providing loss prevention solutions to regional and national retail organizations since our inception. CCI recognizes that your security needs are unique and require a personalized touch; security solutions which are carefully planned and executed, not forced. Our depth of experience with electronic security systems in retail loss prevention applications, makes us a solid choice to help you protect your business from loss. CCI is a custom systems provider, not a manufacturer. We are free to select the most appropriate products available in the marketplace and, thereby, we can offer you the highest quality security solutions that demonstrate exceptional value. We partner with each client in performing a comprehensive facilities, financial, human, and overall security risk assessment. Our team of dedicated professionals then design, install, and service electronic security systems that are custom tailored to fulfill each individual client's needs. Our model is to deliver individualized, customized, proactive customer service. Our dedication has earned us the Fast 50 award from SDI, as one of America's Fastest Growing Systems Integrators! Gus Downing, Publisher and Editor of the D&D Daily, leads off the "Live in Ft. Lauderdale at the NRF LP Conference" broadcast with an introduction of all 18 episodes filmed live at last year's NRF Show. 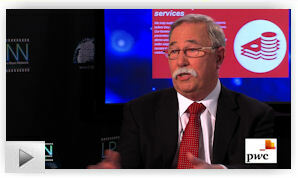 An NRF & LP industry first, the full slate of interviews takes you in-depth with the leaders of the LP industry. Gus explains why we're here, why we did it and how the proceeding episodes can help add value to you and your career. In this episode, Vicki Cantrell, SVP Communities and Executive Director Shop.org at NRF, and Robert Moraca, the new Vice President of Loss Prevention for the NRF, take us behind the curtains of the biggest LP conference in North America. 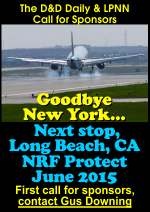 Vicki discusses the expansion of LP's role and the renaming of the conference to "NRF Protect." 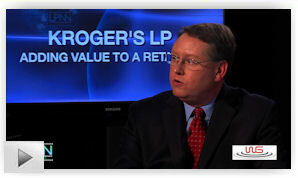 While Robert shares with us plans for his new leadership position at the NRF, highlighting the importance of IT and law enforcement partnerships with retail Loss Prevention going forward. Solution Providers, have a video or commercial you want to publish? Contact us. Americans are making more digital purchases than ever, with sales of items like e-books, gift cards, and event tickets on the rise. This has led to an increase in card not present (CNP) sales, and a decrease in the time retailers have to verify information, leaving weaknesses in the online payment system. These weaknesses have created fast fraud, where fraudsters steal digital goods to re-sell them on the secondary market. With the country migrating to EMV to protect in-store point of sale systems in the coming months, online fast fraud cases are likely to increase unless measures are taken to prevent them. 1. Don't go it alone outsource your in-house fraud solution. 2. Look for guaranteed payments or vendors that take responsibility for all payments made for their products. 3. Watch for red flags like vendors that over-promise their capabilities. 4. Choose expertise not novelty as experienced vendors are more likely to catch cases of fast fraud than new startups. 5. Keep the customer experience in mind to reduce dissatisfied customers and abandoned sales. "Fraud is not a person - it is a dynamic grouping of statistics that deviate from the norm." The Arizona Organized Retail Crime Alliance (AzORCA), statewide organized retail crime alliance launches Sahuarita/Pima County ORCA group Pat Marshall of Walgreens was among representatives from nine retailers in Sahuarita and Green Valley attending a meeting last Wednesday with Sahuarita police and a Pima County Sheriff's detective. Signs of organized crime locally in Sahuarita, AZ., are becoming more apparent. "I felt we needed to jump on this and be pro-active," Sahuarita Police Officer James Oviedo said. "I spoke to Pat (Marshall) and Carlos (Estrada, of Circle K) about it, who enthusiastically agreed. Once I set the date and time, she communicated with her organization and other network and supported our launch." Dollar General Asset Protection Busts Rural ORC Operation in Miss. - $230K in Stolen Merchandise Recovered The Dollar General Asset Protection team recovered more than $230,000 in stolen merchandise and equipment from a welding shop and various storage units in Duncan, Mississippi in cooperation with local and federal law enforcement. According to a video report from a local MS news station, items recovered included food, cleaning supplies, clothing items and more. After diligent investigation originating from a hotline tip, the Dollar General team assisted law enforcement with the interview and eventual arrest of the property's owner. This individual has been charged with felony possession of stolen property. Investigators say the operation was more than likely a collaborative effort with a number of individuals involved. More arrests are expected. Ken Velasquez was named District Loss Prevention Manager for Office Depot. Lou Francavilla was named Regional Loss Prevention Manager for Best Buy Canada. Brandon Monroe was named Regional Manager of Loss Prevention, Audit and Firearms Compliance - Southern Territory for Dunham's Sports. Duncan Reed was promoted to Area Loss Prevention Manager for Lowe's Canada. Israel Herrara was named ORC Investigator for Macy's. 5 Things Smart Leaders Never Tell Their Staff There are certain things leaders should just keep to themselves. By saying the wrong thing you can destroy confidence and tear down the wall of trust. Good leaders establish trust and confidence in their team members, so don't destroy that with these phrases. "I'm having a bad day"
Are you going beyond your job appraisal? Every year, executives face that one moment in time when corporate America tells you how you've done and most live within its boundaries all year long. Exceeding at your job is, by definition, going beyond it and the only way to move up is by doing just that. With increased job scopes and responsibilities, it may seem almost impossible to do except for those who believe anything is possible. Are you going beyond? and/or company white list to ensure you receive our newsletter.